My friend Sherlock Holmes and I had long discussed and anticipated our trip abroad to the colonies from Holmes’ study at 22 Baker Street. Holmes had been invited to the states to lecture at a symposium on the future of applied forensic sciences and was very eager, in his usual stolid manner, to make the journey. “It may have something to do with the paper I wrote on crime scene chemical analysis” He said, the blue smoke from his pipe curling around his gaunt narrow face, vaguely shrouding the furrowed brow and heavy lidded eyes as he sat with his legs splayed out in a most relaxed repose from his big dusty arm chair. Holmes’ did not acknowledge my statement nor seemed to be any longer aware of my presence in the room. His eyes were closed now, a posture that I immediately knew as deep meditative thought. 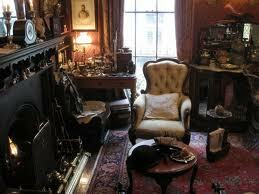 “You obviously think that there is something else?” I asked, somewhat concerned with Holmes’ distraction. His eyes opened and he removed the pipe from his lips, the smoke uncurling from around his body like that of an awakened snake. “I received a letter” he said, drawing an envelope from the pocket of his house robe “A very, singular letter” he said with a note of perplexity , his eyes glanced over the scrawled hand writing that I could see from my very own chair. “It’s from a man, particularly a very frightened man, from Atlanta, in the state of Georgia. “Atlanta, Georgia?” I inquired somewhat confused, for my friend Holmes’ usually had some infrequent connections with the colonies on professional matters but never before had I seen him take any interests in any form to correspondences from an individual. “You know my methods of deduction” Holmes’ replied as if humoring, for the umpteenth time, an obstinate pupil. He spread the letter out upon his lap, his wide thin hands pressing it down where the glow from his desk lamp would cast a better light upon it. “I have read about you in books and I know yer a smart guy and have fixed problems for a bunch of folks. Holmes stopped reading the letter at this juncture. His bushy brow knotted into a basket of concentration, the pipe began to smoke again. Even though I have known my friend for many years and traveled through many strange times and cases I always seem to be in a constant state of ignorance about his god-like gifts for reasoning and deduction. But I could tell by the stern manner in which his pale face was set, that Holmes found this letter to be very interesting indeed. 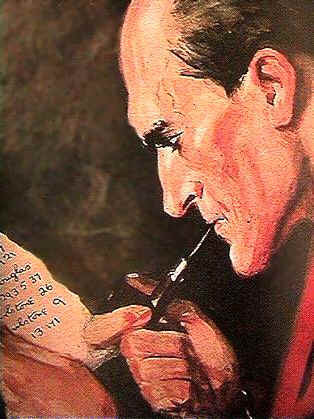 I myself could not tell from what I had heard thus far from the letter that the writer was frightened or how Holmes was taking particular interest in the type of paper the letter was written, but I knew from experience that Holmes had seen something between the lines, so to say. “I will read the rest of the letter to you on our way to America” he said, putting the letter back into his robes pocket. “America, we’re going…?” I said dumbfounded. He grinned at me in his sly way, a twinkle in his eyes I thought. “I must have my muse to keep me honest” he said. “Why does this letter concern you so greatly?” I asked, still reeling with the idea that I was going to America, and to what purpose, other than my friends fancy. Holmes stepped before me and placed his hands on my shoulders, his gray eyes fixed on mine. “What interests me the most about this letter is not the date” Holmes said. I was speechless. My mind was in total chaos, as if I were beginning to spin out of control. My eyes asked the question before my lips could move. I stammered…”Dead….” i felt my hands begin to tremble, the dim, smoky study seemed to tilt and canter to one side. I love the way this story is going. This is gonna be lot’s of fun. The idea gate has been left open! I depend on you for ideas and critique! I understand the main character’s English is deliberately bad, but can you ease off a little bit? He’s beginning to sound like a caricature, and I want to feel more kindly towards him. The Moriarity link opens up all kinds of conjecture. You have a great premise. I thought that about his “talk” too. Weird. Thank you!